£12,265 OTR. £3,200 saving. Same price as 4x2. 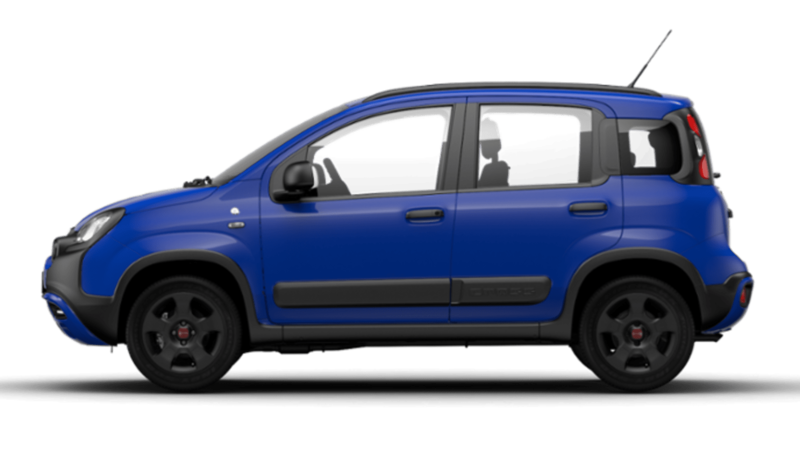 Representative Example based on Fiat Panda Hatchback 0.9 Waze 4x4 (Cash Offer). Offer ends 31/03/19. Vehicle must be registered by 30/06/19. To celebrate the award win, Fiat is lauching the new Fiat Panda Waze 4x4. It combines the looks and functionality of the popular Waze model with the award-winning 4x4 running gear. Crossover looks. Social at heart. Prepare to take on the urban jungle with your friends. Join the community: get into Waze! ESC (Electronic Stability Control) with ASR, Hill Holder, ABS, EBD and BAS. If you have any questions at all about the displayed Fiat Panda Waze 4x4 offer, don’t hesitate to get in contact with us by ringing 01782 622141 to speak to our sales team, or by using the form below. And we will get back to you as soon as possible.